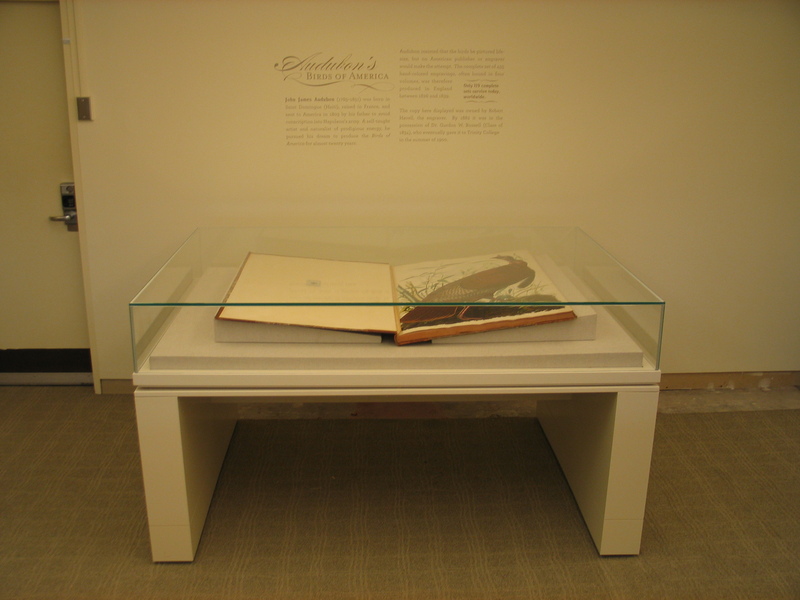 Audubon case: stage II complete! 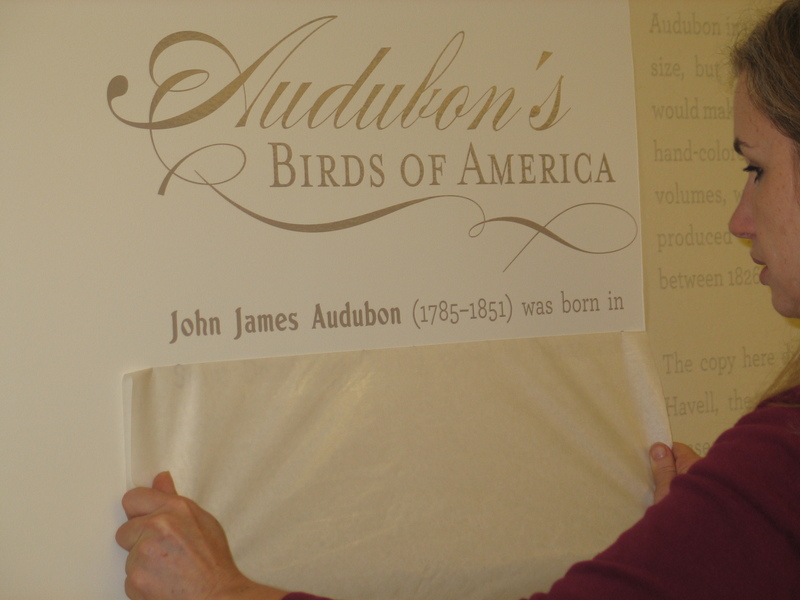 Today the sign company applied the lettering to the wall behind the new Audubon case. Then several guys from Facilities arrived to help move it off the pallet on which it was shipped, and into place. Volume I was placed in its new home for the next two years (we will begin turning one page a week in September, and it will take roughly 9 years to get through the entire set). 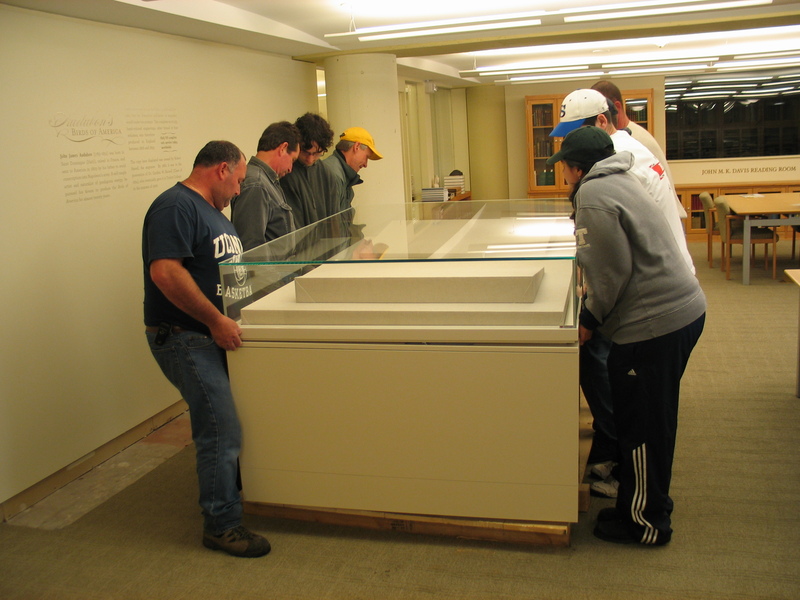 This summer, we will install parquet flooring around the case, which will finish the installation. 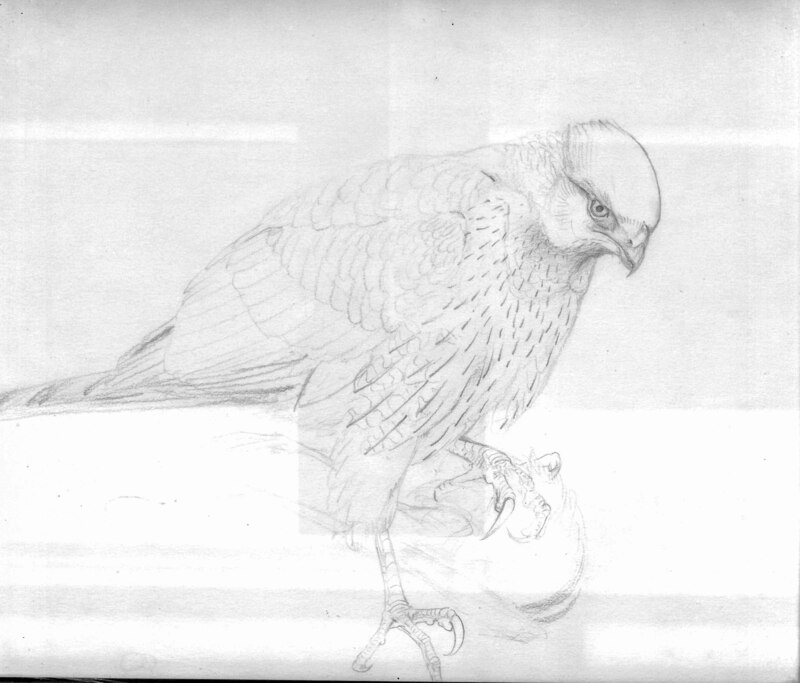 Comments Off on Audubon case: stage II complete! 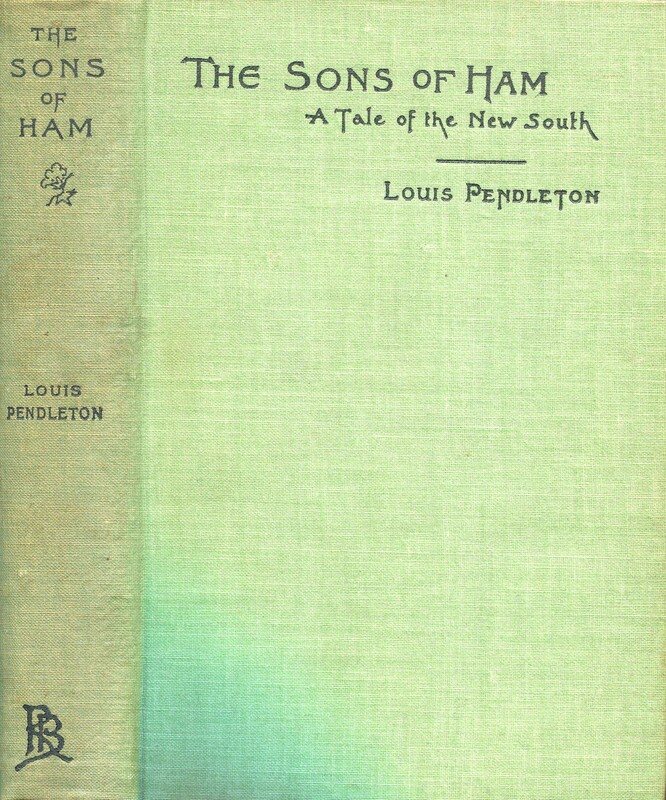 We recently acquired a first edition of Louis Pendleton’s The Sons of Ham: A Tale of the New South(Boston: Roberts Brothers, 1895) as part of our Roberts Brothers collection. 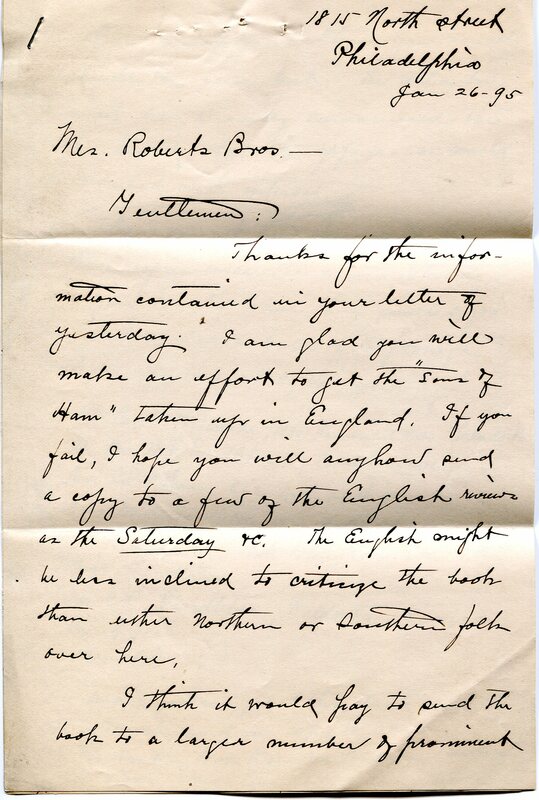 A fascinating bonus includes a letter by Pendleton to the publishers, which I have transcribed below next to the image of its first page. 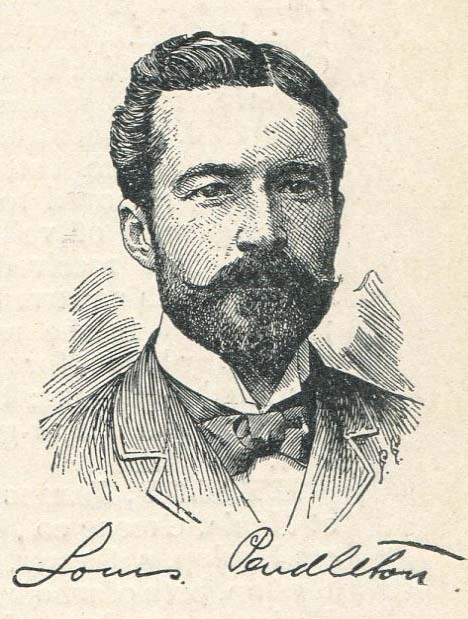 Louis Beuregard Pendleton (1861-1939) was a Georgia-born author and journalist who became a printer and assistant editor of the Valdosta Times at the age of nineteen. After two years in a small religious college in Philadelphia he joined a medical publishing house in that city where he worked for seven years, studying languages and writing for periodicals in his spare time. Gentlemen: Thanks for the information contained in your letter of yesterday. I am glad you will make an effort to get the “Sons of Ham” taken up in England. If you fail, I hope you will anyhow send a copy to a few of the English reviews as the Saturday, etc. The English might be less inclined to criticize the book than either Northern or Southern folk over here. I think it would pay to send the book to a larger number of prominent Southern newspapers than you usually include in your list. The Atlanta Journal has already announced the book, stating that its appearance would be awaited with interest (would also pay to send a copy to several leading new church journals). Rt. Rev. W. H. Benade, 1935 Fairmont Ave., Philadelphia, Pa.
And if you can get it there by about the 7th of March, send one copy to one c/o Academy Book Room, Mr. Posthuma, Burton Road, Brixton, London, SW.
You are currently browsing the The Bibliophile's Lair blog archives for May, 2011.